Jan. 11, 2019 UPDATE: JPM19 is done! A huge thanks to all the conference attendees who donated to our Lava Mae fundraising effort. -- Adam, Rebecca, Damian and Matt. Biotech and health-care executives tell STAT that they are finding it increasingly difficult to justify the trip to San Francisco to attend "JPM Week." Costs for hotels and other services are soaring, and the city's challenges with homelessness and open drug use can make traversing Union Square feel unsafe. Some longtime JPM Week attendees are calling for biotech's banner business meeting to find a new host city. This debate over the future of JPM Week is worth having, but let's not forget its higher purpose. The reason new medicines are discovered and developed is rooted in the compassionate treatment of people facing difficult circumstances. So, with that in mind, Rebecca Robbins, Matt Herper, Damian Garde and Adam Feuerstein are asking JPM19 attendees to help make a difference in the lives of the people living on the streets of San Francisco. 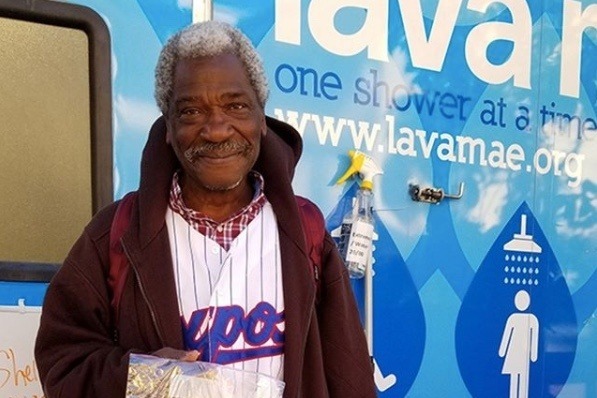 During JPM Week, we are raising money for Lava Mae, a local nonprofit that brings mobile showers, bathrooms and supplies to homeless people in San Francisco and Oakland. Please donate what you can. Be generous. Your contribution will make a big difference for people who need and deserve help.